NEW! 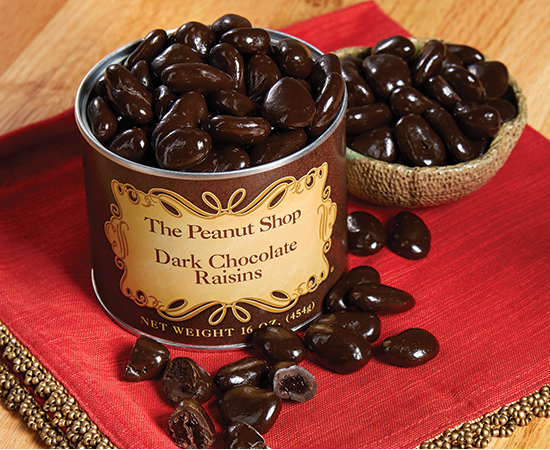 Our new dark chocolate covered raisins are so tasty and tender, you'll be finishing them off in no time. So go ahead and double your order now! Dark Chocolate 2–16 oz. Tins. [GF] Contains no gluten ingredients.